If you are using Mac then it is more likely that you have also tried or you are still using Apple’s Mail App. If so, then you know that upon using this, you are also losing a lot of gigabytes on your storage space. This is because once that you use the Mail apps, it will more likely cache all the emails and email attachments that you are receiving. Here, we are going to show you on how you can clear your Mac mail cache because we know that this is such a waste of space. This is too irritating especially if you have a Mac that has a low space for your storage. Keep in mind that every user actually has a Mail directory in their Library folder. You can find this if you try to access ~/Library/Mail or /User/NAME/Library/Mail. Accessing this will lead you to where your Mail apps put on all its data for every user. Here is another way for you to check your space mail. • You can also go ahead and try to access Finder and then click the “Go” button. • And then after that, go ahead and click on the “Go to Folder”. • After that, go ahead and type in ~/Library into the empty field and then press on the Enter key. • Once that you have located the folder, go ahead and right-click or Control-Click it. • Then, go ahead and choose the “Get Info” option. • From there, you will be able to see how much space was used by your Mail apps. Now that since we know for a fact that you might be using the Mail app on your app for a long time now and that you might have tons of emails and email attachments that are occupying your Mac’s storage space. And we know that you would want to remove them in the fastest and easiest way. That is why what is need is a powerful tool that will give you the ability to remove your emails and emails attachments that you have your Mac. And what is highly recommended by many is the iMyMac Cleaner. The iMyMac Cleaner will be able to help you locate all of your unneeded email attachments on your Mac. Aside from that, you can also remove your old iTunes backup and multi-languages that you no longer need on your Mac. The iMyMac can also help you in speeding up your Mac. 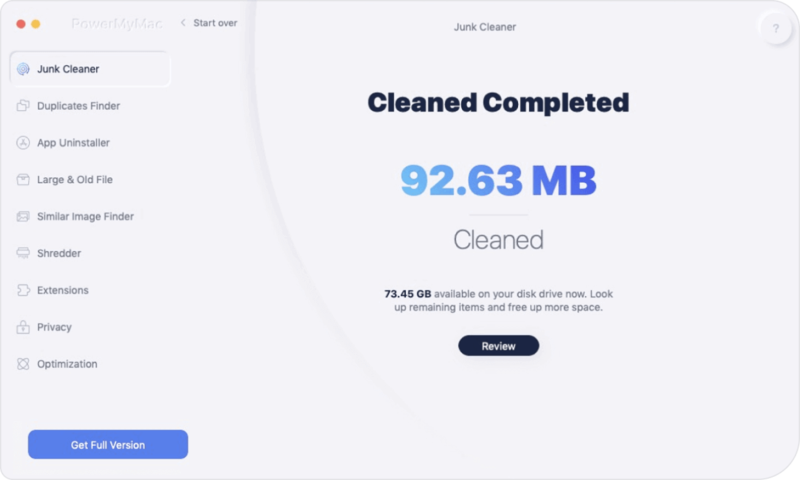 The iMyMac Cleaner can also help you in removing all the junk files in your Mac in a safe and quick way. This way, you will be able to save more of your storage space. Same goes with deleting the Large and Old Files that you actually do not need. Now, for you to know how to use the iMyMac Cleaner, we have here a step by step guide for you. Do not worry, because the iMyMac Cleaner is very easy to use. All you have to do first is to download the iMyMac Cleaner from our official website. You can get the iMyMac for a free trial that will last up to 30-days. Then have the iMyMac Cleaner installed in your Mac. Once that you have successfully installed the iMyMac Cleaner on your Mac, go ahead and have the program launched. Once that it is launched, you will be able to see on the main interface of the program your Mac’s system status. Also, you will be able to see a list of modules that the iMyMac is capable of doing. These are all found on the left side portion of your screen. Now, as you can see, there a lot of things that the iMyMac Cleaner can do. On the left side of your screen, go ahead and choose “Junk Files”. Choose this for you to be able to clean up all the junk files that you have on your Mac and as well as the email attachments that you no longer need. After that you have chosen a module, go ahead and click on the “Scan” button. The scanning process will take some time depending on how large are junk files that you have on your Mac. Wait until the scanning process is complete. 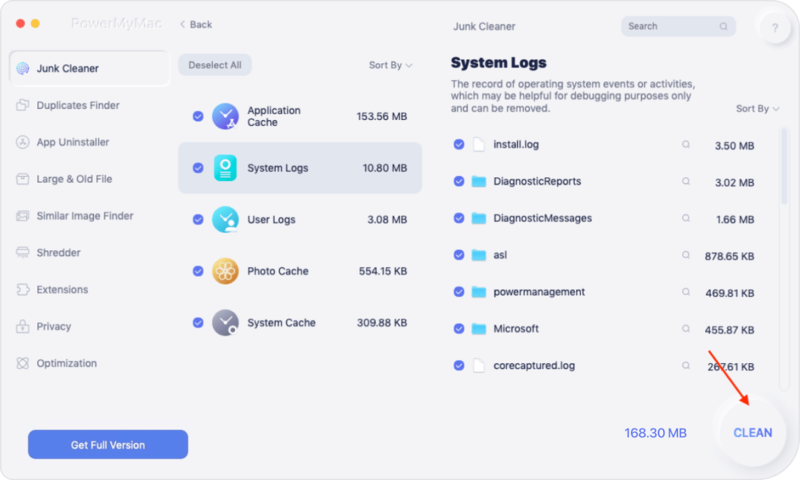 Once that the scanning process is complete, the iMyMac Cleaner will be able to show you all the junk files that you have on your Mac. The junk files that will be shown on your screen will all be in a category folder which will be easier for you to choose from. From here, all you have to do is to choose the category that you would want to clean from your Mac. Since that you are going to remove the email attachments that you have, go ahead and click on the “Mail Junks” category. Once that you click on Mail Junks, you will be able to see all the items that it contains on the right side of your screen. This way, you will be to choose all the email attachments that you would definitely want to remove completely out of your Mac. Once that you are done choosing all the email attachments to remove from your Mac, go ahead and click on the “Clean” button. The iMyMac Cleaner will then ask to confirm this action. Confirm this action by clicking on the “Confirm” button from the pop-up window on your screen. After that, the iMyMac Cleaner will then start to clean up all the items that you have chosen to remove from your Mac. All you have to do here is to wait until the process is complete. 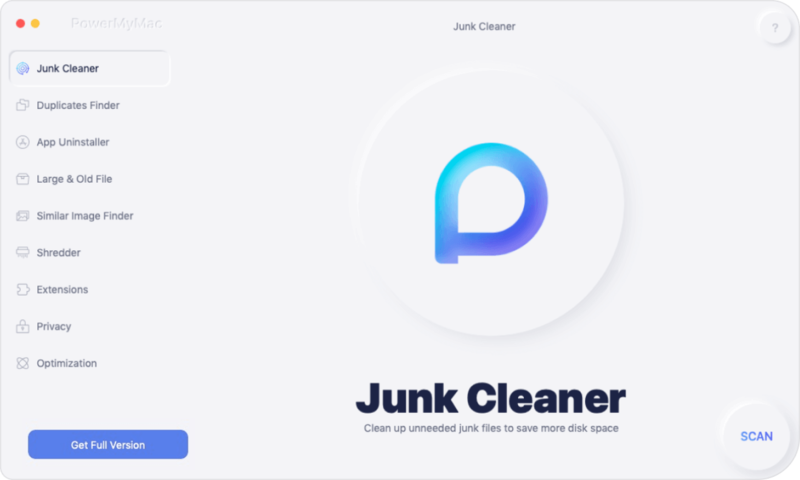 Once that the cleaning process is done, then you will be able to see that all the items that you have selected to remove from your Mac are all gone. The mail folder that you have on your Mac actually grows real fast. This is because the mail app continuously downloads all of your email attachments and have them all stored on your Mac. Because of this, you will be able to access those email and email attachments even if you are offline. And aside from that, Spotlight will also index them for you to search them faster. But again, if you have like a ton of them, then you might end up losing all the storage space on your Mac. But on the other hand, you can still do something about it. All you have to do is to change options by telling Mail not download attachments automatically. All you need for you to do is the following. • Go ahead and launch the Mail app. • Then after that, click on the Mail menu. • Then click on Preferences. • After that, go ahead and click on the Accounts icon and then choose the account that you would want to change its settings. • After that, go ahead and click on “Advanced” tab and then uncheck the “Automatically download all attachments”. Once that you are done with this, all of your email attachments will not be automatically downloaded on your Mac. They will all just be stored online until such time that you see them. This way, you will be able to save more of your storage space on your Mac. Now, since there is actually no way for you to disable this feature of your Mail app, then the last thing that you would want to do is for you to stop using your Mail app. After that, you can just go ahead and simply remove all those mail caches that you have. This is for you to be able to make sure that your Mail app will not be able to download any of your emails and email attachments again. Aside from using the Mail app on your Mac, you can also try to consider using other email services on the web and an example of which is Gmail on the web. You can also try to consider using some third-party applications of email on your Mac’s App Store. There are some email clients that will let you have to store fewer emails even if you are offline. And at the same time, you will be able to limit the size of your cache and make it a manageable size. Now, for you to disable the use of your Mail app, all you have to do is to follow the steps below. • Go ahead and launch your Mail app. • And then click on the Mail menu. • Then after that, go ahead and choose Account. • Once that you are under the account, go ahead and uncheck the account that you do not want to use anymore on your Mail. • From the time you disable this, you will no longer have any downloaded emails from the account that you have removed. But aside from this, you have to do more. You can also try to disable your email account. And from there, you will no longer receive any emails on your Mail app but they will still be stored on your offline cache. From here, all you have to do is to delete the folder. And here are the steps for you to do so. • Go ahead and launch Finder on your Mac. • After that, go ahead and click on the GO menu. • And then, go ahead and choose Go To Folder. • Then press on the Enter key. • After that, go ahead and right-click or do a control-click on the folder that has the name of your email account. • From there, go ahead and simply choose “Move to Trash”. • After that, simply go ahead and empty your trash. This way, you will be able to save more of your storage space on your Mac. In case you have more than one account that you are using on your Mail app and you would want to remove all of them. Then you should go ahead and delete all the folders that correspond to all the email that you are using on your Mail app. Once that you are done, all of the copies of your mail will then be removed but do not worry because they will be stored in your email server and you can still access them online. As you can see, there are really several ways for you to remove all the email attachments that you have on your Mac. Though there are some people that do this in a different way. There are also some that would use a separate mail account that they can use for them to archive their emails. And since because Apple had removed a very useful option for you to deal with your email attachments, you will be needing to use a different tool with this. That is why we have the iMyMac Cleaner just for you. This program will be able to help you in removing all the email attachments that you have on your Mac. And once that all of these email attachments were removed from your Mac, then you will be able to save more storage space and at the same time, the speed of your Mac will become faster.